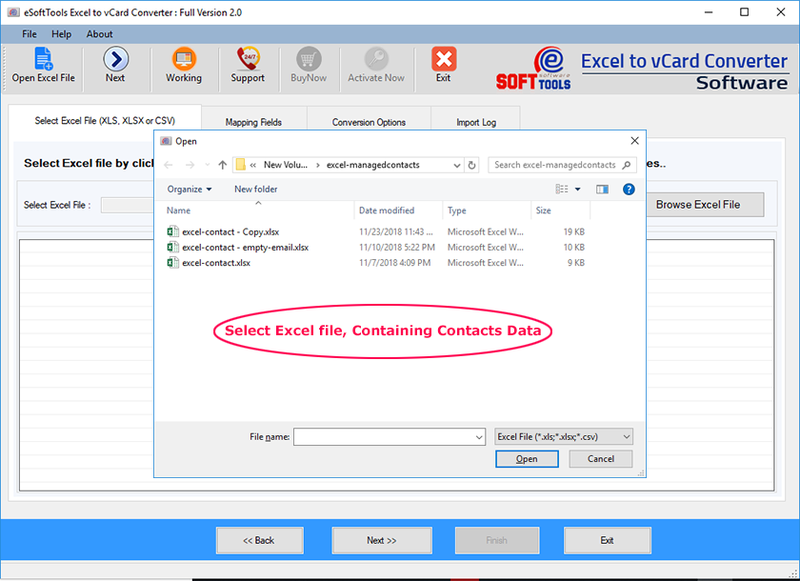 How to Export Contacts from Excel to vCard? Software auto mapped few common columns as show in above screen. But if you see some fields in RED color then you must need to map these fields manually by clicking over the row text "Click here to map contact field". 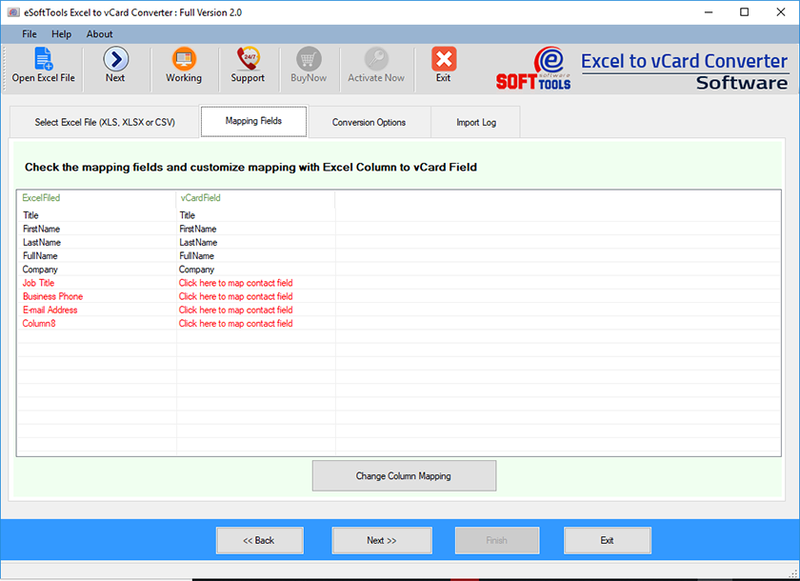 Create Separate vCard (*.vcf) file - This option helps to create individual .vcf file for each contacts. 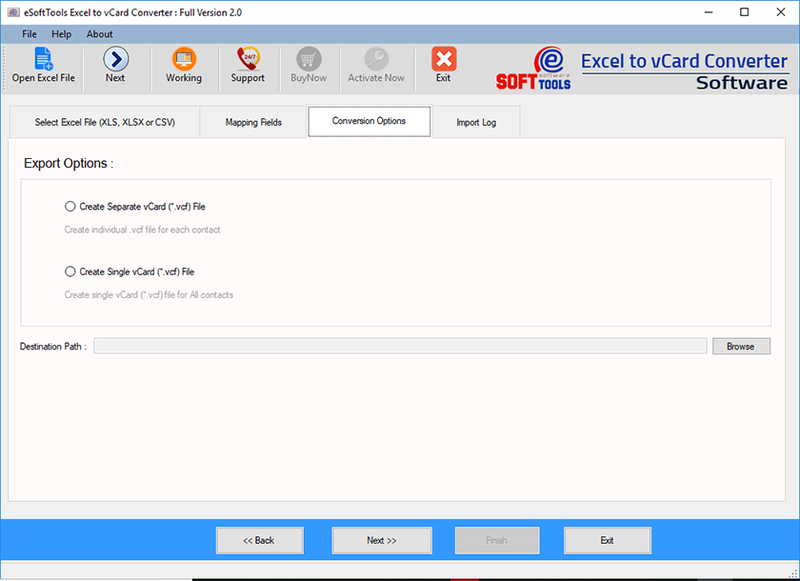 Create Single vCard (*.vcf) file - This option helps to create single .vcf file for all contacts exist in Excel file. 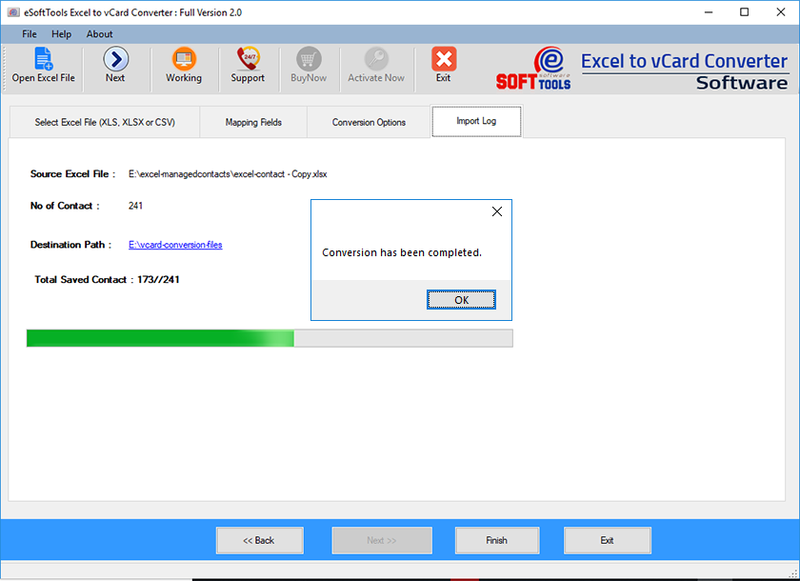 Select the appropriate option and specify the saving/ destination path by clicking on browse button and then click on Next button (Located on the bottom of software dialog) and proceed to real xlsx to vcf conversion phase.